Estimates of how many will experience problems with IPv6 range from 0.03% to 0.05% of all Internet users -- or as many as 1 million of the Internet's 2 billion users worldwide. IPv6, which features an expanded addressing scheme, is an upgrade to the Internet's main communications protocol, which is known as IPv4. Internet engineers have dubbed this problem "IPv6 brokenness." The term refers to PCs and smartphones that have IPv6 addresses and run operating systems such as Apple Mac OS X or Microsoft Windows 7 that default to IPv6. However, these systems do not have end-to-end IPv6 connectivity due to misconfigurations somewhere along their paths to the Internet. Broken IPv6 connections will cause these systems to suffer delays and timeouts when they try to visit websites running IPv6. The problem of IPv6 brokenness will be significant today and tomorrow because there are 418 corporations, universities and government agencies participating in a large-scale trial of IPv6 known as World IPv6 Day. One of the primary goals of World IPv6 Day, which is being sponsored by the Internet Society, is to determine the magnitude of IPv6 brokenness. "The one thing we want to measure on World IPv6 Day is what's the percentage of users that have IPv6 brokenness and for what reason," says Alain Fiocco, leader of the IPv6 program at Cisco, which is participating in the IPv6 trial. "Right now, we think this number is a very, very small percentage. But this [test] has never been done at global scale. ...We need to find out if it's a big problem or a small problem." Experts say that most Internet users will have no difficulty reaching Web content on June 8 because they have IPv4 addresses and IPv4 connectivity. "The average home user is not going to be aware of [World IPv6 Day]," says Hari Krishnan, director of product management at Nominum, a DNS vendor that is working with several ISPs to prepare for World IPv6 Day and is a World IPv6 Day participant, too. "They have IPv4 connectivity so they wouldn't see any impact." "We are going to see pockets of problems, but I think by and large the experiment will be transparent," agrees Andy Champagne, vice president of engineering at Akamai, a content delivery network that carries anywhere from 15% to 30% of Internet traffic for sites such as Fox Interactive and USA Today. "Some users will be impacted ... but based on projections of error rates, we don't expect it to be serious." Internet users who do experience IPv6 brokenness may include residential customers participating in IPv6 trials through their ISPs or running IPv6 tunneling mechanisms. Employees of enterprises, universities and government agencies that have IPv6 services on their networks also may experience trouble if devices such as firewalls aren't configured properly for IPv6 traffic. "The vast majority of those issues are going to be around people using 6to4 [tunneling] in a broken configuration -- broken meaning that the home network is misconfigured or the operating system has an irregular setting," predicts John Brzozowski, distinguished engineer and chief architect for IPv6 at Comcast. Comcast is offering a free tool on its website that allows customers to test whether their IPv6 configurations are broken. The tool is at: www.test.ipv6.comcast.net. "This tool is a key tool that we're using to help get in front of anybody who would have a broken connection" on World IPv6 Day, Brzozowski says. Nominum is offering similar tools that allow network operators to test the completeness of IPv6 support across their backbones under the umbrella of its IPv6 Readiness program. "End-to-end testing is one of the key things that ISPs need to do before they can turn on IPv6," Krishnan says. "ISPs will have a little bit more support issues on World IPv6 Day ... but for 99% of subscribers, there shouldn't be any big change." ISPs, in particular, are gearing up for an increase in tech support calls from customers experiencing delays accessing Web content on World IPv6 Day. IPv6 brokenness "has been a key area of focus," says Jean McManus, executive director of Verizon's Corporate Technology Organization, which has IPv6-enabled its www.verizonbusiness.com website for World IPv6 Day. McManus says Verizon has been educating its tech support team on how to handle queries from customers that may be experiencing problems on World IPv6 Day. "We've created a lot of FAQs for tech support that ask [customers] to do this or check this basic troubleshooting procedure for World IPv6 Day," she says. "From a trouble ticketing perspective, I think a lot of the calls will be the individual customers trying to understand why they can't do something with IPv6." Another issue that could disrupt Internet service on June 8 is a lack of peering arrangements between carriers that will cause inefficient routing of IPv6 traffic. For example, Cogent does not have an IPv6 peering arrangement with Hurricane Electric, which operates one of the Internet's most-connected IPv6 backbones and provides a popular IPv6 tunneling broker. Similarly, Level 3 Communications reportedly lacks peering arrangements for IPv6 traffic with some carriers. The lack of peering arrangements could cause delays because IPv6 traffic won't travel from the sender to the destination in the most optimal route. "Verizon Business has been working over the course of the last few months to enable IPv6 peering," McManus says. "We've done some adjustments based on what our customers were doing. These adjustments are not just for World IPv6 Day, but it was the impetus." McManus says Verizon will be monitoring IPv6 traffic during World IPv6 Day for unusual routing patterns that may indicate a lack of IPv6 peering arrangements. "This is of interest to the network engineers," she says. "Are we going to see some really weird paths taken? We will be interested in understanding that." Cricket Liu, vice president of architecture at Infoblox, says he ran into trouble preparing for World IPv6 Day because of the lack of an IPv6 peering arrangement between Cogent and Hurricane Electric. "As a follow-up to World IPv6 Day, I hope people put some pressure on the carriers to make these arrangements," Liu says. The Internet engineering community has been publicizing World IPv6 Day in the hope that Internet users will understand what's going on if they experience problems visiting their favorite websites on June 8. "World IPv6 Day is important for the companies that want to experiment with IPv6," says Qing Li, chief scientist and senior technologist at Blue Coat, which sells IPv6-enabled Secure Web Gateways and is participating in World IPv6 Day. "If anything breaks, it's supposed to be forgiven. 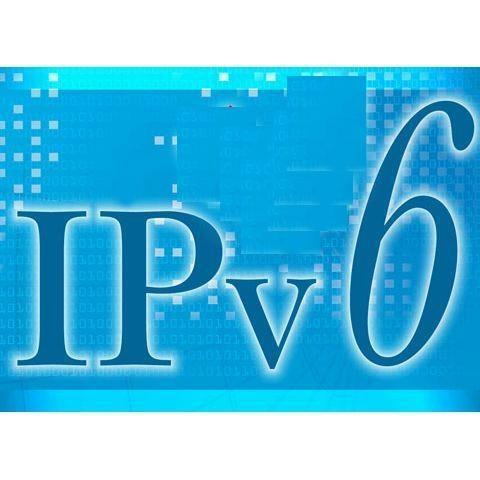 World IPv6 Day is acting as a catalyst to give content providers confidence to deploy IPv6."